Josh joined us, and the veterinary field, straight out of high school. 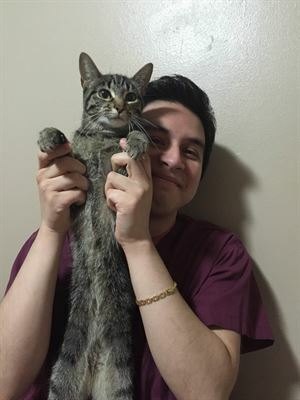 With dedication and a determination to learn, he moved from being an assistant to a veterinary technician fairly quickly. He always can be found with a smile on his face and offering a helping hand. His time away from Chestnut often includes time with family, his cats Nicky and Opie, sampling various cuisines, and enjoying church activities.